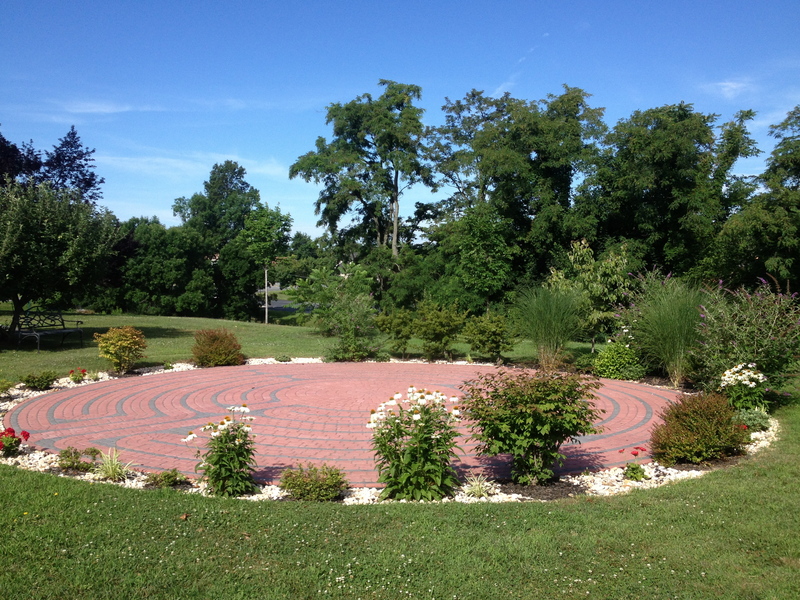 We welcome you to visit and walk the Labyrinth at St. Paul’s on the Hill, which was made by the hands of many of its dedicated members during the hot summer of 2010 as a gift to the community of Winchester. The funding for the project came from a Lilly Endowment Grant as part of the Summer 2010 Sabbatical of the then Rector, the Very Rev. Hilary B. Smith. The plantings around it were donated by church members, some of whom tend and water them lovingly. Walking the Labyrinth can be done by one person alone looking for contemplative solitude, or in groups of people as a form of corporate worship. During the school year, a small group meets on a weekday morning for Centering Prayer and a Labyrinth Walk. There are no rules to walking the Labyrinth, only an expectation that it will be treated as sacred space making room for the presence of God. As you follow the path, switching back on the twists and turns, try bringing to the Center your stresses, your fears, your joys, your frustrations, your thanksgivings, your questions and your prayers. We hope that you will then find your way back to the beginning refreshed and at peace.